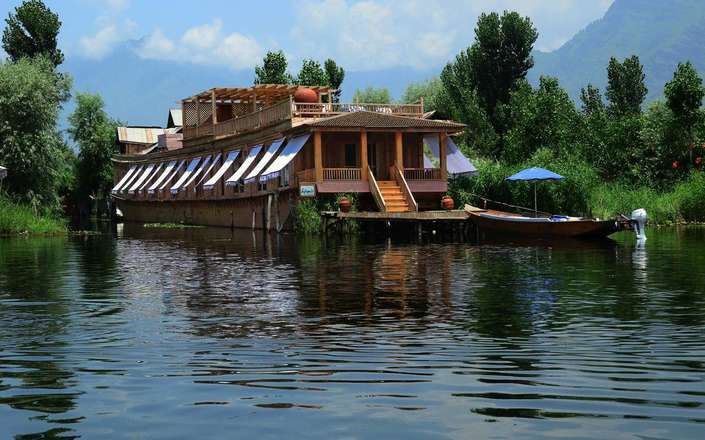 Moored on the quieter side of placid Dal Lake, the Sukoon Houseboat is one of Kashmir’s finest floating hotels and superbly fuses traditional heritage with contemporary décor and modern conveniences. 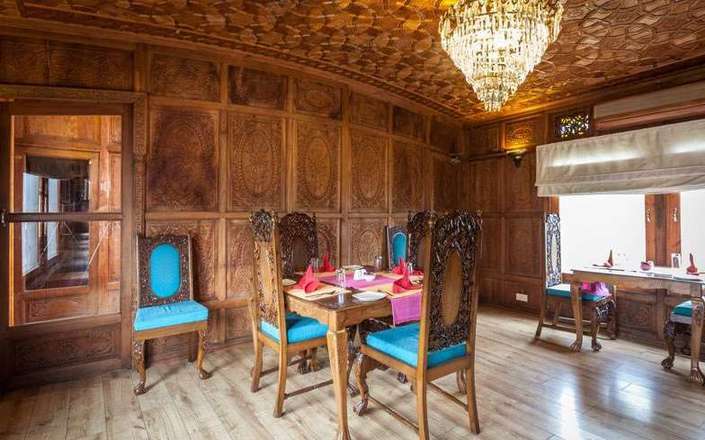 Surrounded by the snow covered peaks of the Himalaya, this attractive wooden panelled houseboat is set overlooking the majestic Pir Panjal Mountains. 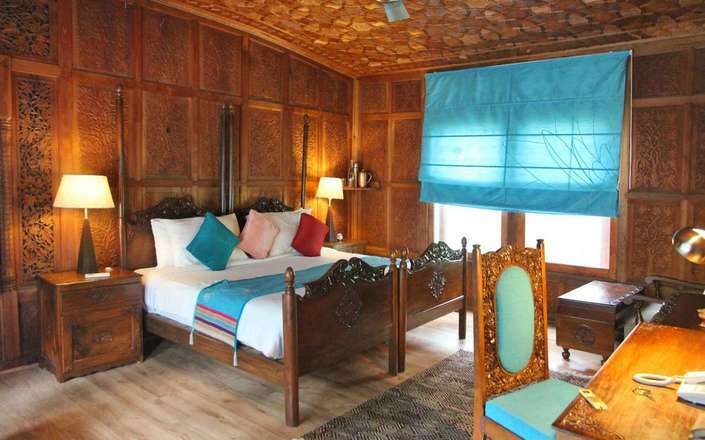 Accommodation is in 5 elegantly appointed guestrooms with ensuite bathrooms and a large picture window offering direct views on to the lake. 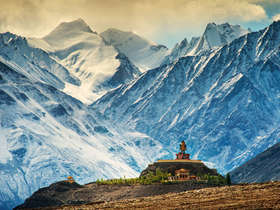 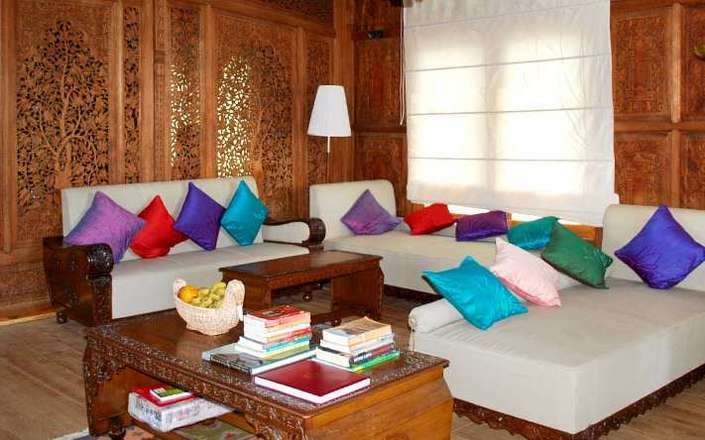 There is also a spacious living room with a small selection of books; a dining room to enjoy delicious Kashmiri, Indian as well as International cuisine; and a roof-top sundeck that is the perfect spot from which to take in the stunning views, observe local life go by on traditional ‘Shikaras’, and enjoy sundowners as the sun nears the horizon. 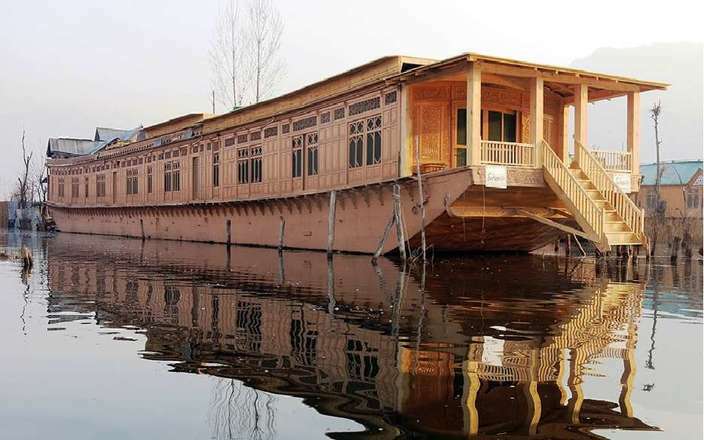 The Sukoon Houseboat is a convenient base from which to explore the vicinity of Srinagar where you might enjoy visits to the early-morning floating market, discovering Mughal gardens, leisurely strolls along through the narrow bustling lanes of the Old City. 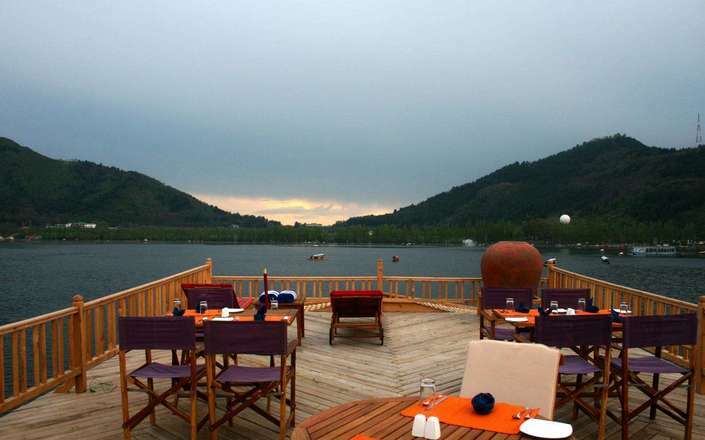 Guest at the Sukoon Houseboat should be aware that pork and beef are not served.